Here at Techie Fairy, we have been providing expert, friendly, sympathetic PC support and advice for even the most timid user for over 25 years. No job is too small and no question too stupid. We’ve been where you are now and we want to help. And if you want total peace of mind, why not take out one of our monthly support plans? For a small, fixed fee per computer per month, you are covered for assistance with any IT issues or questions via personal visit, telephone call or remote assistance. Should any parts/purchases be required to fix your problem, these will be supplied at cost. Available to domestic customers, microbiz and SMEs. We also hold a monthly free PC advice drop-in at Central Hall in Keighley, on the first Friday of every month. There are half-hour slots available, where you can bring your Windows laptop or desktop PC along for me to take a look at if you’re having problems. If I can fix your problem in your half hour slot, then that’s it, nothing to pay. And, if it’s not an actual fault you have, but would just like some advice, then also feel free to drop by. 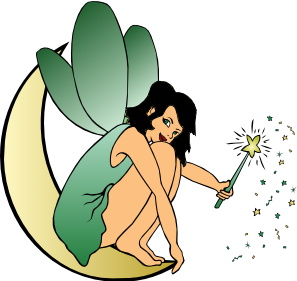 Techie Fairy: We fix your computer – as if by magic!